QUESTION: When Michael B. Jordan was publicly outed as the new Human torch for Fantastic Four the internet went crazy. 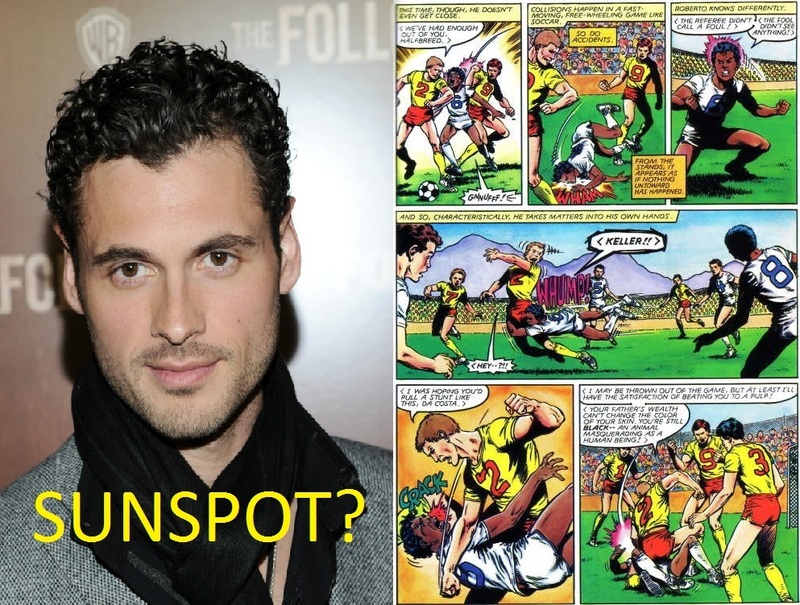 Conversely there has been nothing said about the casting of the light-skinned Adan Canto as the clearly dark-skinned Sunspot. Did people genuinely miss this or …is this another case of the Hollywood double standard?! In addition to this Sunspot who’s powers manifest as a “blacking out” of his entire body, google sunspot to see why he was given that code name. Instead he looks like the human torch……we can complain even further that when Sunspot finally developed his ability to project energy said energy was always a trademarked blue. What we have is just a human torch knockoff. How utterly sad on both fronts. ← X-MEN: DAYS OF FUTURE PAST Trailer and POSTER Reveal! Good point,but don’t get bent out of shape over a light skinned Sunspot. Take a look at what Marvel has done in the movies so far; a Black Kingpin,Electro, Hemdall (some White people almost lost their minds over Idris Elba),and Alicia Masters, just off the top of my head. Some actors casted as Marvel characters are spot-on , examples Logan, Prof. X,Tony Starks, Steve Rogers/ Johnny Storm,Sue, Reed,Loki,Thor,and the first Peter Parker. It’s not an issue of Black-White,but who can play the part. I always thought N’Bushe Wright was the Perfect actress to play Storm, she’s darker,taller and has the right bone structure, but Halle Berry got the part and the rest is history. But Sunspot isn’t just Latino. His father is Afro-Latino, so that would also make him Afro-Latino, which would make him Black. Being Black these days does not mean African American. There are plenty of Afro-Latino actors out there trying to make their big break into the acting scene. Hollywood has a problem with whitewashing, and whitewashing does not just mean turning POC characters white. It is also the erasure of color to make white people more comfortable. Take the Afro out of the Afro-Latino character, white people take it easy. He’s not white, but the lighter his skin is the better. I’m really surprised no had answered this before I got here.